and although that is lovely I am never sure whether to dress for the warmth of the sunshine or the nip in the air LOL!! at the moment - just can't get motivated even though I have sooo much to do! Onto the October challenge then. Wwwaaaauuuu....Thank you so much for TOP3, I am so happy. I will proudly »hang« your badge to my blog. 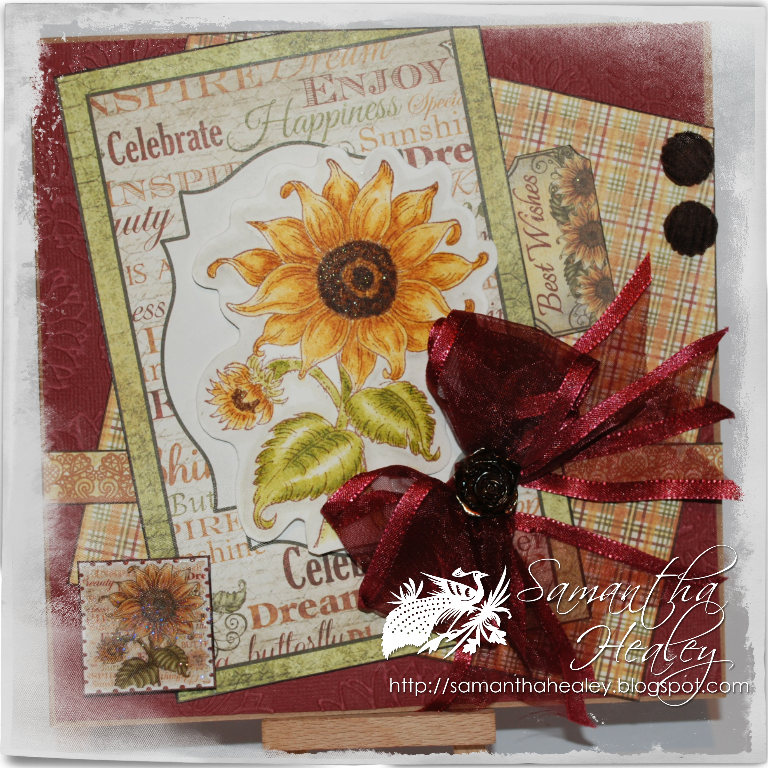 Wendy, Paper Daisies and Sam...your cards are so beautifully designed. Love the DT Creations!!!! Love Paper Daisies.. great papers... great coloring!! Love it!!! Thanks for another fun challenge!